This entry was posted on Thursday, August 12th, 2010 at 5:18 pm	and is filed under Art/Craft, ceramics. You can follow any responses to this entry through the RSS 2.0 feed. You can leave a response, or trackback from your own site. I am totally in love with your bunny. And yes, he goes perfectly under that adorable paper doll artwork. Wow! Wonderful faux-taxidermy bunny! It really does look super with your paper dolls. 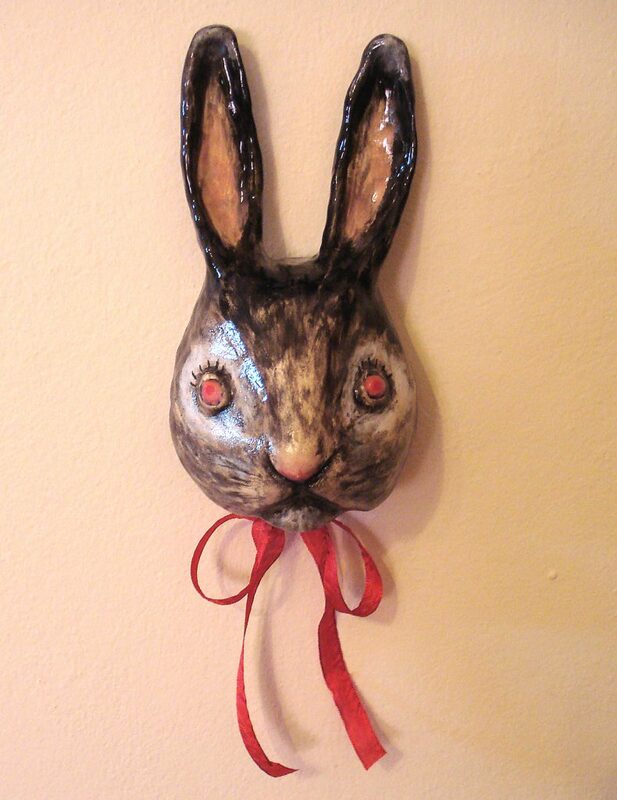 Like how all work together, and you make a fantastic work with the rabbit head, lovely! I can’t believe you didn’t get more comments on this rabbit head… it’s so lovely. Your foray into ceramics has been inspirational and impressive. I am totally in love with the bunny head, will you be selling them?